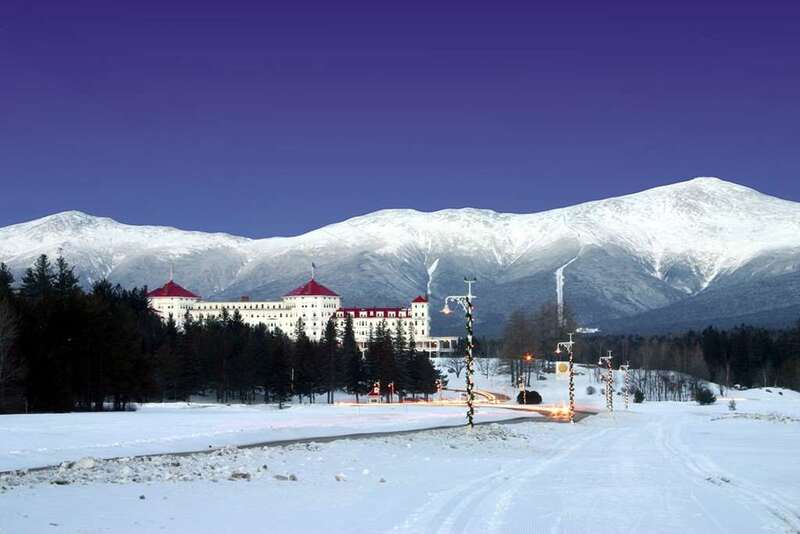 With the breathtaking Mount Washington as the backdrop, Bretton Woods is one of the most picturesque ski destinations in the whole of America. Bretton Woods is praised for it's fantastic groomed pistes, efficient transportation and the vast 464 acres of skiable terrain. The runs here cross over open fields. Beautiful woods and breathtaking streams help to create a truly outstanding atmosphere. There’s nothing quite like soaring downhill while taking in exceptional panoramic views of White Mountain National Forest. Nordic skiing is also available on the resort, presenting a fantastic variety of options for skiers who want to experiment with new terrain. The snow season here runs from November to April and around 80 per cent of the runs are covered by snowmaking. 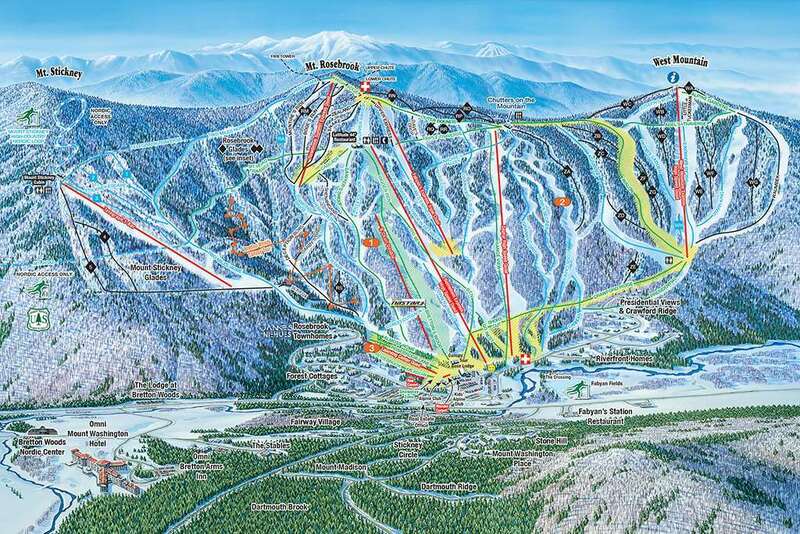 There are 62 trails across Bretton Woods, suiting all manner of abilities from beginner to expert. There is also four terrain parks, providing plenty of options for those wanting to learn some new tricks whether their on skis or a snowboard. With around 200 inches of snowfall on the resort at a base elevation of 1,600ft, while the top elevation of 3,100 ft.
After you’ve taken on some of the amazing runs at Bretton Woods, you can put your feet up in one of its many pubs and restaurants. A great option is the Slopeside Pub, which is located on the Bretton Woods Base Lodge and offers some great entertainment and fantastic drinks offers. There is also the Slopeside Climbing Wall, which is a great challenge for adrenaline junkies, while snowshoeing and snowmobiling are brilliant activities to make the most of the stunning winter climate. The closest airport to Bretton Woods is Manchester Boston Regional Airport, which is around one hour and 45 minutes away.